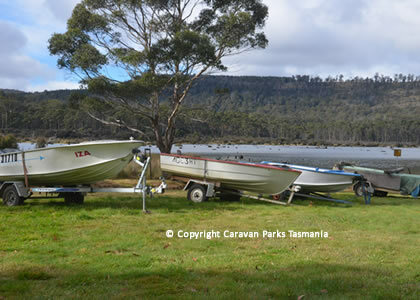 The Wayatinah Lakeside Caravan Park is located in the central highlands of Tasmania mid way between Ouse and Tarraleah. 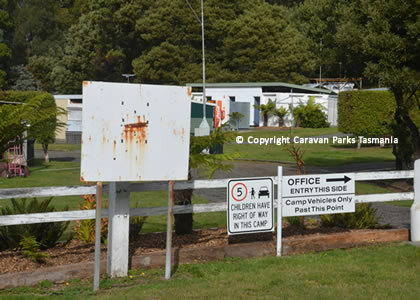 The park is located beside Wayatinah Lagoon and surrounded by native bush. 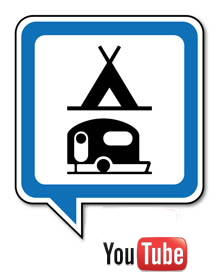 It offers 50 campsites, 12 of them powered sites. 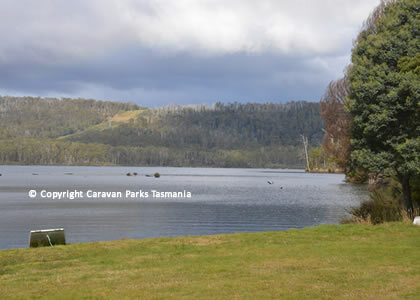 Platypus and waterbirds can be seen around the lake and other native Australian wildlife often emerge from the bush at dusk or dawn. Wildflowers are abundant and pretty in spring and summer. 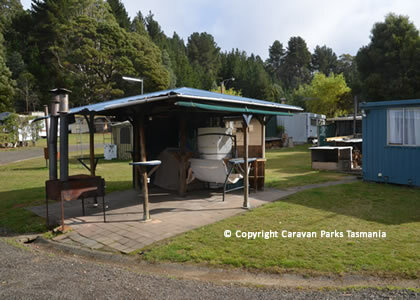 Firepots are generally available for visitors that like to sit around the campfire and the park owners are tolerant to off road bike riders while totally non tolerant to inconsiderate ones. 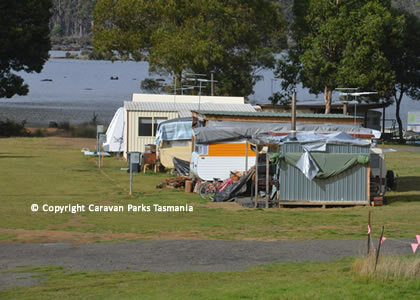 The Wayatinah Lakeside Caravan Park Tasmania is a camp catering for families first and while social gatherings are encouraged, loud music and drunken behaviour are not tolerated. 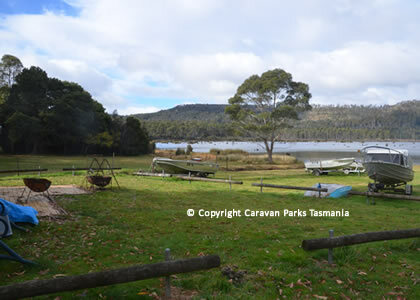 Wayatinah is a hydro electric village located in a remote part of Tasmania, however it offers a heated swimming pool, children’s pool, a tennis court, football oval and cricket pitch. 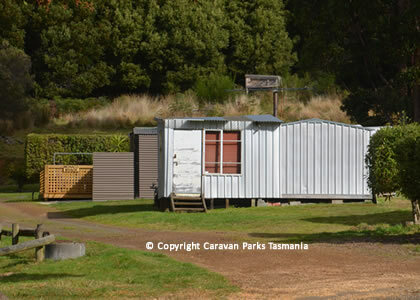 Within a close proximity you will also find a golf course, squash courts, tavern and poolroom. Showers app. 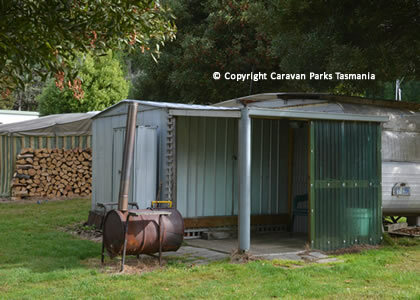 cost AUD$1.00; washing machine average app. 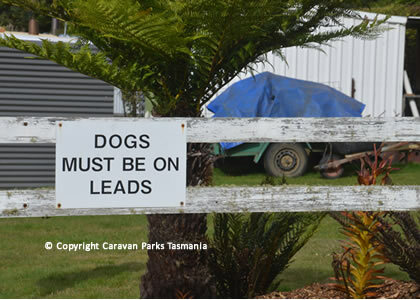 AUD$1.50. 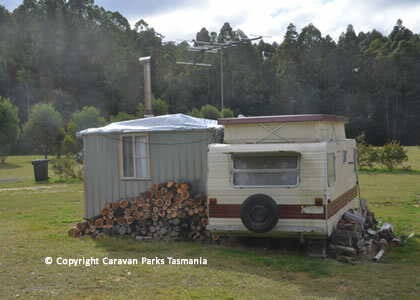 The weather in the central highlands of Tasmania can be unpredicatable; often wet and cold during cooler months. 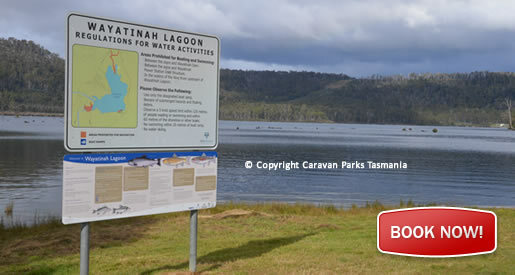 Beacuse of the slightly higher elevation it is also cooler in the summer; so always be prepared and remember to pack warm clothes and wet weather gear.